Blue 22, Blue 22… hut, hut! I can’t even begin to think of how many times I’ve heard phrases like that on tv and have no clue what it means! While I may not know a ton about football I sure know that the boys, and even some of my girls, LOVE when it is time to bring out the football activities in math class! 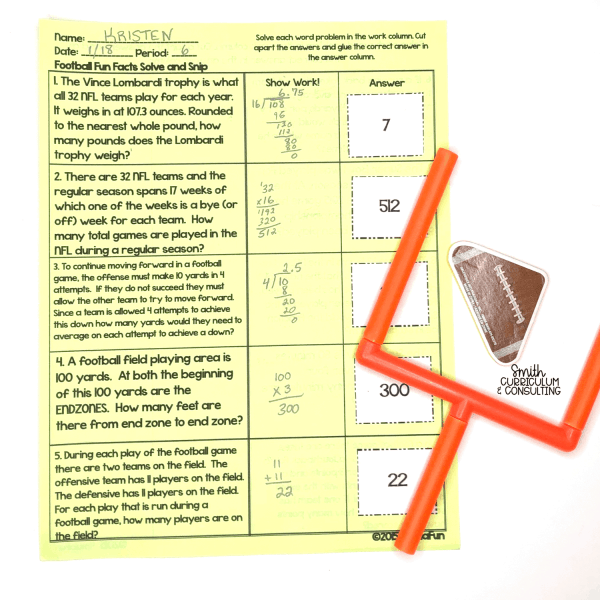 This time of year we are heading into Super Bowl weekend and what better time to bring in some review with Football themed math games to keep your students interacting with you and engaged in practice all while working hard! Over the years I’ve written many different Solve and Snips and included in those are several thematic ones that are full of review style problems because they cover multiple concepts. 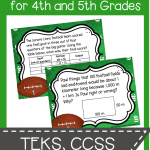 Football Fun Facts for Fourth and Fifth Grades covers several concepts within fourth and fifth grade standards. Within the problems students will work on problems solving skills (all themed to football) before snipping their answer and gluing it down. Since there are ten questions and ten answers it is an easy way for students to self-check when complete. And not to be left out, Football Fun Facts for Sixth and Seventh Grades covers multiple sixth and seventh grade concepts. In this Solve and Snip students will work through problem solving skills while solving problems with various standards before snipping their answers and gluing it in the correct spot. We all know that whenever we allow students to work in groups they are game for it (pun not intended). So to have students work in groups with a Solve and Snip is a fun change that they will enjoy. Students should be put into mixed-ability groups to make it fair for all in the classroom. Students will determine who is first, second and so on before the game begins. If you don’t think students can do this on their own it could always be assigned to them prior. Play will start with the paper and pencil down in front of Player One and when the teacher says GO all Player Ones in the room (it doesn’t matter how many groups you have) will pick up their pencil and read problem one and work on solving it on their paper first. Once they have finished solving and show their work on their paper they will bring their paper up to the front of the room and write their solution on the board in their board area. You may even have them check their work on the board as an extra step. For my class the first one who answers correctly (and has all of their work shown on their paper) gets to take a chance with the football to make a field goal. If they make a goal they get 2 points for their field goal. And every team who gets the answer correct with their work completed on their page is also awarded 1 point (including the winning team). 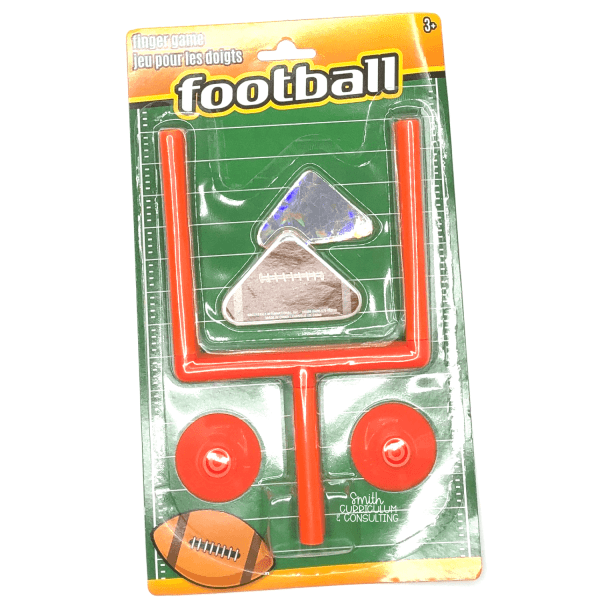 The Field Goal and Football that I use is a package that I have found multiple times at Dollar Tree and knew I could use it for something and was so happy when this came to me. I actually grabbed a Basketball version when I was in Dollar Tree recently and am working on some fun things with that as well. For an alternative way for scoring, you could also set it up where the first group with the correct answer gets to punt a field goal for different point values of their choice and have them “kick” from different distances. And if you want something cute to keep score on for this, grab the FREE Go For the Goal score sheet. You can either print it out and keep it on a clipboard to keep score, post it on your whiteboard or maybe even project it on your screen and then keep tally that way. There is room for up to 8 teams so that should be enough for you. 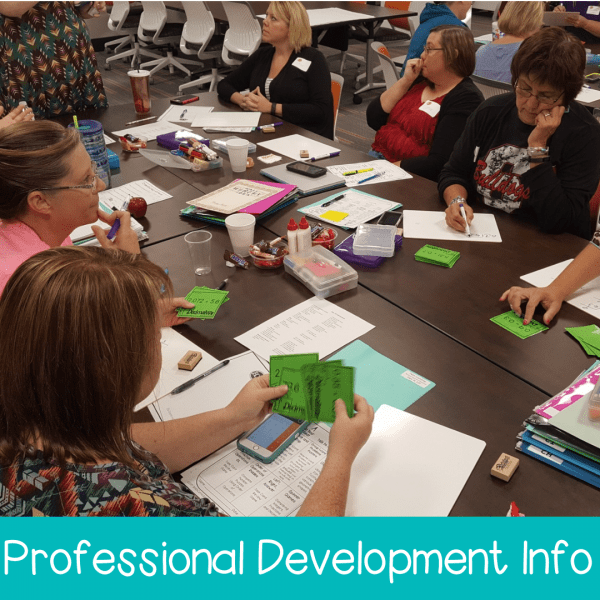 Looking for Some Math Workshop Fun? 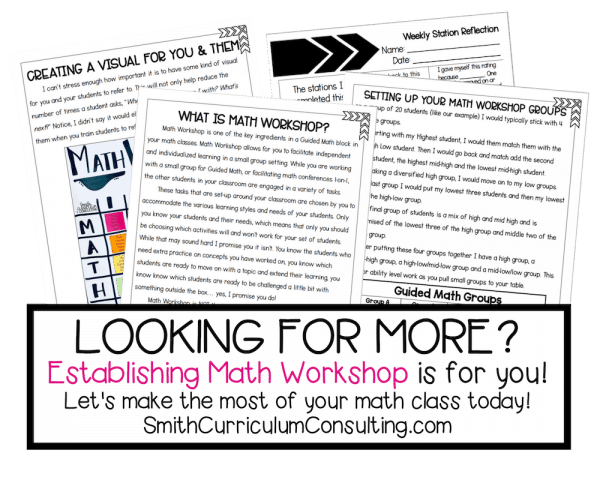 You know that I love creating activities for Math Workshop almost as much as I love teaching with Math Workshop so who would I be to not have more for you! 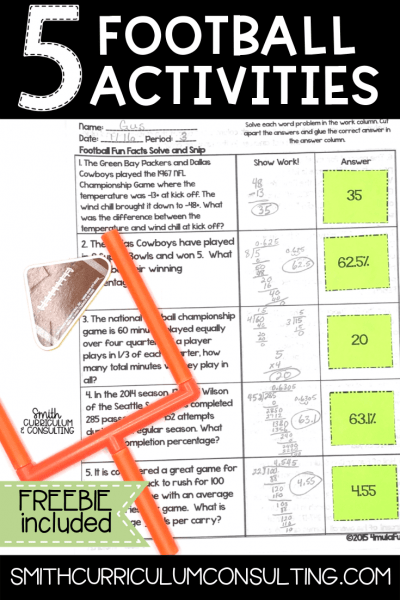 This year I have created some Football Frenzy Task Cards that review a few different concepts in each set that are sure to please. 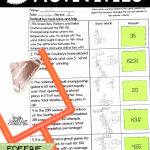 The first set of Football Frenzy Task Cards are geared for Fourth and Fifth Grade. Within the twenty problems students will be answering questions where they will be finding the pattern and rule for input/output tables as well as converting measurements using customary and metric measurements. And then of course they will be using all four operations as a part of the measurement conversions so they are a great review this time of year. 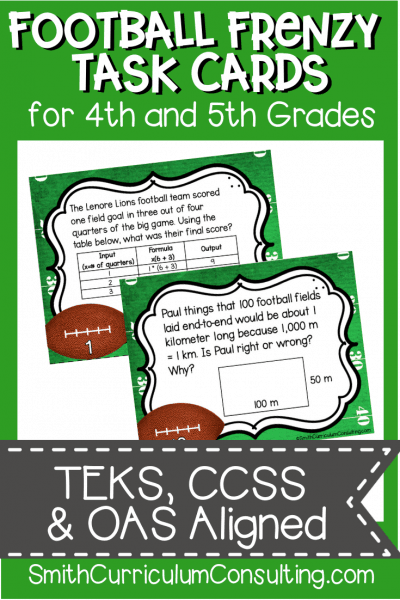 The second set of Football Fun Task Cards are for Sixth and Seventh Task Cards and are packed with some awesomeness! 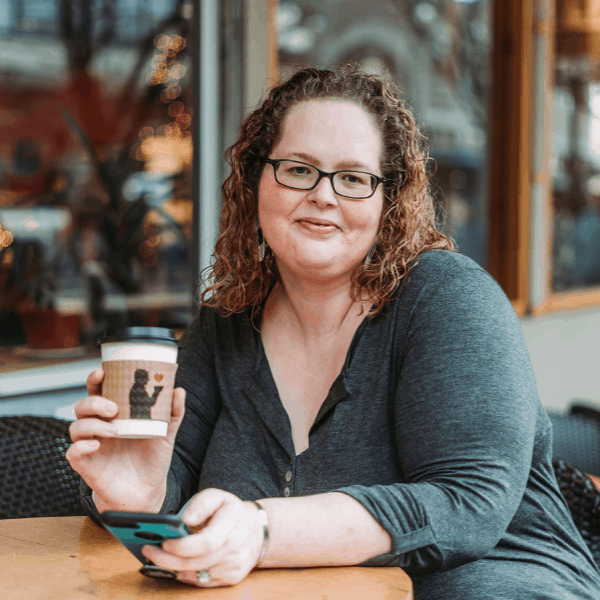 The twenty different word problems are real-life problems (many are even non-fiction) that will have your students solving problems with converting measurements, solving problems based on area, and finding ratios and solving for rate of speed. Of course there are a few equations thrown in as well but this set is definitely a good review for this time of the year. Each of these set of task cards can be used in many ways including games like Scoot, a Scavenger Hunt, a Problem of The Day or even a game like Left, Right, Answer. Don’t let the fact that there are 20 task cards fool you, many of these are detailed questions and definitely will help as you are working towards test prep as well. You also don’t have to give all of the cards to your groups if you know they won’t have enough time to answer them all. Doing something like that would allow for one set of task cards to last through a few cycles in your weekly station rotations which is always a benefit! Anytime that there is something extracurricular going on, like the Super Bowl, it seems to be an excuse for our students to turn up the notches on their antsy-ness (is that even a word?) but when you plan ahead with activities that keep them engaged, like those above, you are taking control of the chaos! 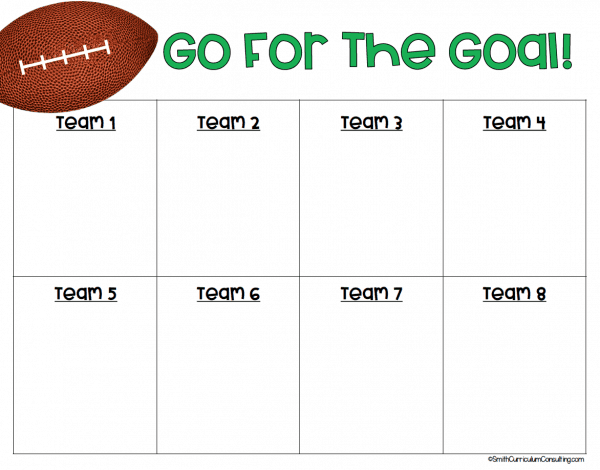 I would love to hear how you plan to use these football activities in your classroom and I hope that they can help control the chaos and calm the wiggles while keeping in line with having Math going on! And if you take photos of your Football Relay, please tag me on Instagram @SmithCurriculumConsulting or drop me an email! Great innovative lessons and projects that are keeping the students engaged and excited to do math.